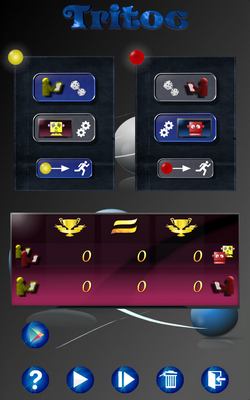 Tritoc is a “super” Tic Tac Toe game on a 3×3 x 3×3 field using dice. 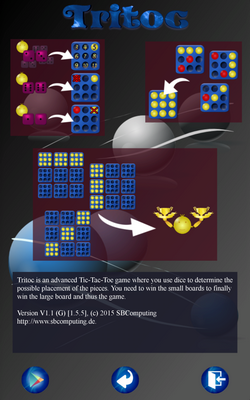 Tritoc is a modified version of the popular Tic-Tac-Toe game using dice to place pieces on 3×3 Tic-Tac-Toe boards of size 3×3 each. The game is won when three mini Tic-Tac-Toe boards in a row, either horizontally, vertically or diagonally are won. 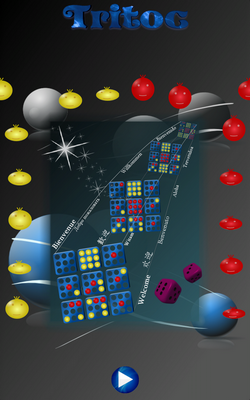 To win one of the 3×3 mini boards dice are thrown. The dice outcome determines where a piece can be placed. 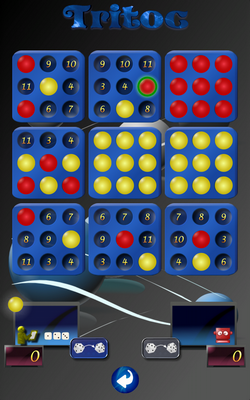 Throwing a 2 or 12 requires you to remove a piece (own or other) from the board. Advanced version of the popular Tic-Tac-Toe game.